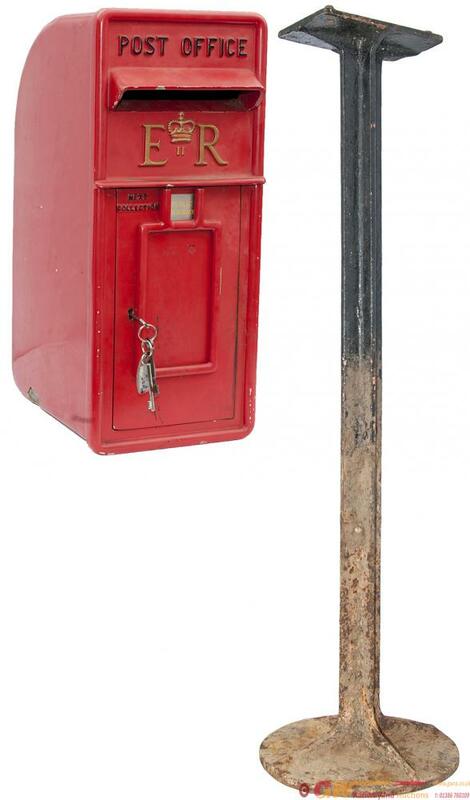 Post Office POST BOX, an original 1950's lamp box type complete with a full set of collection plates, internal wire basket and original Chubb lock and 3 key's. The box has been nicely restored and comes complete with its original cast iron stand that measures 55in tall. Note the box is not too heavy as the front is cast iron and the rear mild steel, however the stand is a comfortable 2 man lift.